What is American Sign Language? Is it a culture? Is it an identity? Is it a foreign language? Is it an art form? Is it for Deaf people only? ASL fills a variety of roles in different people’s lives, but most importantly: it is a communication tool. ASL is emotional expression, it is connection; it is a way for humans to build meaningful relationships. The use of sign language has been discovered all around the world in areas where groups of Deaf people have had the opportunity to interact with one another. Nicaraguan sign language spontaneously emerged in the 1970s, after it was developed by deaf Nicaraguan school children. In Martha’s Vineyard, MA, from the early 18th century until the mid-20th century, there was an unusually large deaf population among the island’s residents. This led to the development of Martha’s Vineyard Sign Language (MVSL), a unique form of sign that all island residents knew and utilized, regardless of whether they were deaf or hearing! 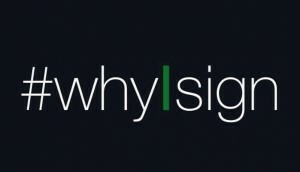 Last month Stacy Abrams, a Family Mentor Program Coordinator at Arizona Schools for the Deaf/Blind and the Arizona Early Intervention Program, launched the viral video campaign called Why I Sign #WhyISign. According to Abrams, she started the campaign “to inspire families everywhere to share their personal stories of why they elect to sign with their Deaf children.” #WhyISign quickly caught on with the Deaf community as parents, children, and whole families shared what ASL means to them. These personal and passionate videos depict hundreds of members of the Deaf community explaining in their own words why they choose to use ASL with their family and friends. 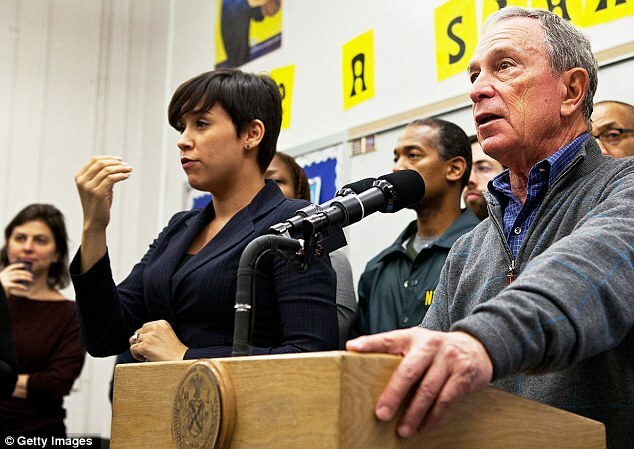 The campaign also appealed to a number of hearing individuals such as parents of Deaf children, Children of Deaf Adults (CODAs), Deaf school employees, and sign language interpreters; all of whom consider ASL an important part of their lives. 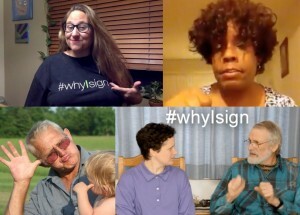 #WhyISign was so powerful because of the community pride it generated and the incredible diversity of ASL users that it showcased. The campaign also brought an important issue to the forefront: giving deaf children access to signed languages. Peter Hauser, a deaf clinical neuropsychologist and associate professor in the American Sign Language and Interpreting Education Department at NTID, has been studying how exactly deaf people’s brains are wired. Hauser’s research indicates that not having comfortable access to language from a very early age can delay the development of executive functions in the brain— this includes emotions, impulse control, memory, and thought organization. Sign language provides deaf/ HoH children who are learning to communicate orally with another (potentially more effective) way to sort through their own thoughts while they learn English. 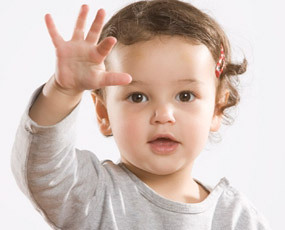 Language Equality and Acquisition for Deaf Kids (LEAD-K) is a national campaign by ASL4Deaf Kids, which aims to end language deprivation amongst Deaf children in the United States. This growing movement, which features celebrity spokesperson Nyle DiMarco, recently helped pass SB 210 in California: a bill designed to help assess and support literacy amongst deaf young people. LEAD-K promotes an integrated approach where deaf/ HoH children are offered both ASL and English, and not made to choose between the two languages. Some people believe that signed languages will die out as medical technology alters the social landscape of deafness. Members of the Deaf community and deaf allies are working hard to change this perception. As the previously mentioned research suggests, teaching ASL to deaf/ HoH children is actually beneficial to language acquisition, as well as their emotional development, and it has been linked to long-term educational success. April 15 is celebrated as National ASL Day and marks the last day of Deaf History Month. On April 15, 1817, the first school for the deaf in the United States opened and the language we know as ASL began to form— born from a mix of Native American Signs, French Signs, and Martha’s Vineyard Sign Language. ASL is a language created right in America by deaf Americans for deaf Americans. It is the key to a visual culture that has its own folk tales, stories, and sense of humor. Offering yet another tool to figure out this crazy world, sign language is the birthright of every deaf child.